Your customer is walking down a crowded street market. On all sides, vendors are screaming at her, waving their hands, all fighting for her attention. They all say the same thing, “My product is the absolute best — and truly unique!” But she has eyes, and she can see for herself how unique each product is. And none of them are what she’s looking for. Where is what she’s looking for? Not far, but within reach, you’re waiting in your booth trying to get a sale. If you shout, no one hears you. If you say how great your products are, no one believes you. But there, lying right in front of you, is the exact product your customer has been looking for this whole time. Competition in Etsy is fierce, but it’s the vendor’s responsibility to draw in the customer, or they go home hungry. Every successful Etsy seller has their own tricks and tips, but which ones will work for you? This piece compiles the 6 most helpful tips that can be applied to any Etsy page to get your voice heard over the competition. Before a battle, know the terrain. You are an online store. SEO is how anyone finds anything in the online marketplace. It may not be as interesting of your craft, but developing SEO skills is essential for the business side of things. First, make a list of your target keywords if you haven’t already. Be careful about “eyeballing” SEO keywords — you’d be surprised at which words people use to search. It’s best to use the aid of an SEO tool. 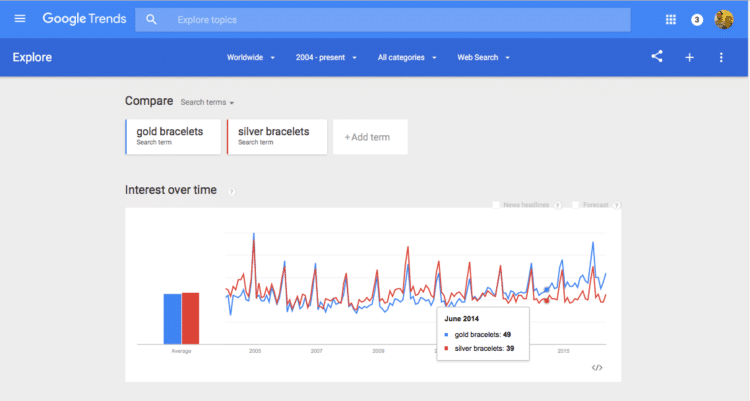 Google Trends works well because it shows up-to-date statistics, comparison charts, and related searches — and it’s free. Test out all your keywords to find which are most popular. Your SEO is how people find your Etsy store — ignoring it is like keeping your store’s lights off. Returns are a big deal in ecommerce because you’re essentially asking your customers to buy a product on good faith. To minimize that anxiety, institute better, more lenient return policies. It may seem counterintuitive, and you may even lose some money, but making happy customers now leads to more money in the future. Marketing a successful Etsy store isn’t something you can do in the moment. It takes large-scale planning that encompasses big picture timelines and day-to-day activities. The two things you’ll need to start are a calendar and a plan. Get a vague idea of how your year will go — research the top sales seasons for your product, the dry times, and combine that with your own personal schedules, such as vacations or busy times. This should help you decide the best times to roll out new products, hold sales, restock, or simply lay low. There’s also the everyday minutiae which can go crazy if left unleashed. Keep track of your social media posts and blog updates, as well as the usual business chores. Finally, you’ll want your finances in order. Obviously you’ll want to keep a close eye on your business budget, but don’t neglect the details. For example, do more than just allot an amount of money to advertising. 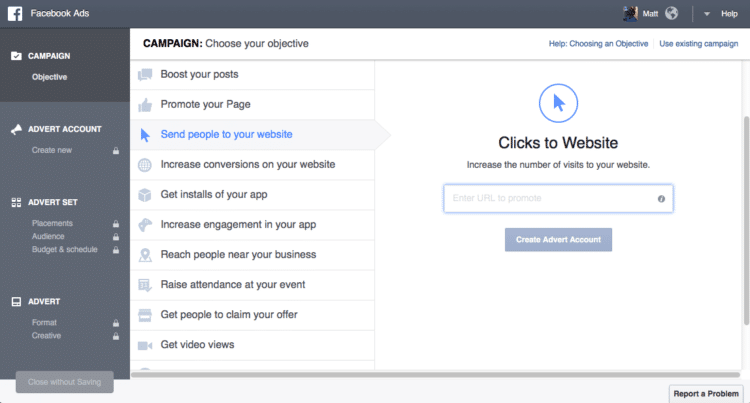 Keep track of which advertising methods work best, and if they justify their price. Just like SEO, social media is another major highway in the online marketplace. Create store pages on Facebook, Twitter, Instagram, Snapchat, Google +… create an OKCupid profile for your store, if you have time! You can never have too much publicity, and different customers use different social media outlets so the more social media representation you have, the broader your customer base. Consider starting a blog just for your Etsy store. You could talk about your thoughts and opinions regarding topics related to the store, as well as promote new products and sales. You may even develop a readership based on your ideas independent of the store, which is great for brand identity. Post regularly to develop a rhythm your followers can get used to. Each post is a little tiny advertisement for your store, no matter what it says because it’s coming from the store account. This can get hard to manage, which is why you should stay organized, as mentioned above. Keep all your post times in your calendar so you don’t miss any. It’s one thing when you talk about how great your product is, but it’s another when someone else does it. Reviews are great for social proof, raising the value of your product, and simple advertising. If your customers aren’t reviewing on your Etsy page (of if you’re cursed with early bad reviews), try reaching out to previous customers and asking them for positive reviews. A follow-up message after a purchase is good etiquette anyway, so it’s no big leap to include this quick request and a link to the review page. Another way to get the word out is to have other sites and blogs review you. Try reaching out to smaller review sites and ask them to review your products. You can even include a free sample. Or, if you have your own blog, you can collaborate with another Etsy store, where you both promote the other. Advertising is a worthwhile investment for your store, and Facebook Advertising works well because it’s customizable and scalable to your price range. Facebook Advertising lets you outline the parameters for the type of person you’re targeting, i.e., American women in their late twenties that like Spongebob. A little customer research may be in order. Try sending a brief questionnaire to your existing customers to get some data on who’s shopping at your store. Look for any trends that could help you narrow down your advertising campaigns. Trying to pinch every penny to escape the red line isn’t a bad strategy per se, but it can be detrimental if taken to extremes. Online shopping is about convenience — the shopper buys what they need from their couch, and if they don’t like a store they can go to a new one within seconds. In this environment, it’s not as simple as “you should buy my product because it’s the best.” You need to consider how to make your customer happy, how to pamper them in a way that they remember you the next time they go shopping. Use the above tips to make your customer’s Etsy shopping experience as painless as possible. Your customer’s happiness should be your top priority, even if just a means to make more money. Next articleDon’t Just Lean In…Lean On. Stop Making These Business Mistakes Today!